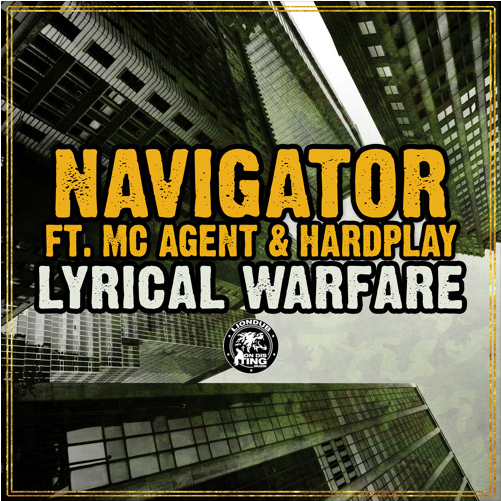 Liondub and Navigators labels team up to bring you their next BIG tune “Navigator – Lyrical Warfare Ft. MC Agent & Hardplay” out on Liondub-ODT (On Dis Ting) Muzic. If you were unaware Liondub is one of the hardest working men in the Jungle and Navigator has been blessing mics since the 80’s, this team is unstoppable. The original tune produced by Hardplay (engineered by Erb N Dub) will definitely have your head nodding to its half time drums and heavy bass, Navigator and MC Agent flow over this whole release nicely. 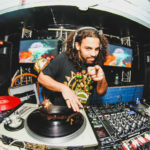 Brian Brainstorm hits you with his style of crisp drums, deep bass and reggae influence definitely gonna get the pull up. Social Security comes with a steppy vibe and booming bass, check out the dub mix if a full vocal tune isn’t for you. Finally Submatic brings you a breakbeat style remix full of pitched synths and samples, again check the dub on this one if a full vocal tune isn’t your thing.